In case if any one finds anything simpler or good guides on the topic do let me know. 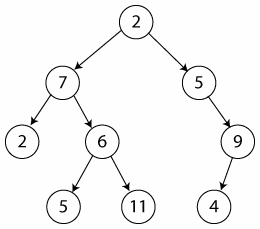 You are given a binary tree and a node in the tree, your task is to find all the nodes in the binary tree which are at a distance K from that node. These nodes can be downwards [descendants of the node] or upwards. The nodes that are at a distance 2 from 7 are 5 (6’s left child), 11, 5 (2’s right child). This is a coding question.